We are offering our Clients an exotic array of Holographic Paper Labels, which are widely used a solution for numerous brands. They create excellent visual effects and provide an evidence against tampering. Our holographic paper labels are used as a measure of authenticity of any object, we provide them in various customizations. 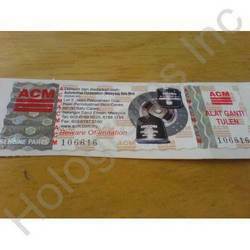 We specialize in making Paper Holographic Labels. 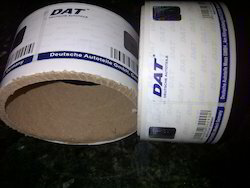 If you use both holograms and ordinary paper labels this solution is an ideal suggestion for your brand. These holographic paper labels are known to create a brilliant visual effects and offer an evidence against tampering. Our range of holographic paper labels are the measure of authenticity of an object and is available at competitive market price. Holographic paper labels are one of the Latest development in the Hologram Industry and are used Instead of Normal Paper Labels. These kind of Labels are dual purpose Labels which have the advantage of Security and Identity. 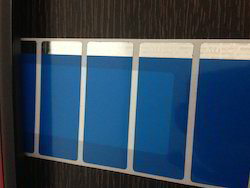 We specialize in making Hologram Paper Labels. If you use both holograms and ordinary paper labels this solution is an ideal suggestion for your brand. These holographic paper labels are known to create a brilliant visual effects and offer an evidence against tampering. Our range of holographic paper labels are the measure of authenticity of an object and is available at competitive market price. Looking for Holographic Paper Labels ?